"Spent a week with friends in Miami. Booked the golf courses through Tee Times Usa...."
"Spent a week with friends in Miami. Booked the golf courses through Tee Times Usa. Fantastic attention. Quick response to every inquire. Will recommend without any doubts. Thank you." "Your staff is always very helpful. We've used you for several years now and quite..."
"Your staff is always very helpful. We've used you for several years now and quite satisfied. Thanks!" "Excellent as always. The team worked very hard and put together an excellent package..."
"Excellent as always. The team worked very hard and put together an excellent package at an excellent price. Very easy to communicate with and always pleasant. I won't use any other service. Keep up the great work! " "Trip was very good as always Been using your service for years and have always..."
"Trip was very good as always Been using your service for years and have always been very satisfied "
"Outstanding service. The team working on our file was dedicated and responsive...."
"Outstanding service. The team working on our file was dedicated and responsive. I recommend TeeTimes to anyone planning a trip as you make it all very simple." Jacksonville - the largest city in Florida offers visitors a wide variety of golf and seemingly endless selection of beaches that keep golfers coming back for more every year. Below is our list of Jacksonville golf package specials. All packages can be customized to meet your needs. All of the Jacksonville, Florida golf courses are offering very attractive rates this year. Below is our list of our Jacksonville, Florida golf package specials. All packages can be customized to meet your needs. Virtually every course in the Jacksonville area is having one sale or another, we've truly never seen discount prices like this before. In addition to these great golf deals, don't miss Tee Time's exclusive golf group discounts for you and your golf buddies. 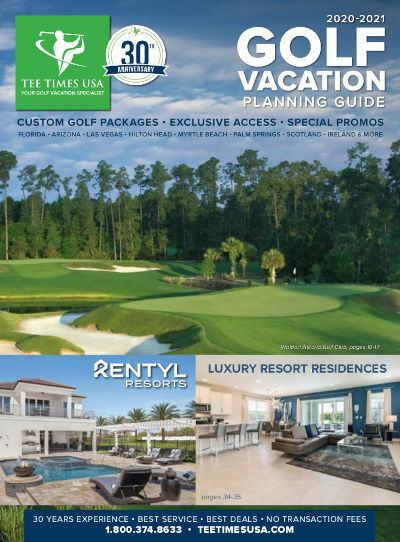 If you have questions feel free to call us direct and speak with a friendly Florida Golf Vacation Specialist at 1-800-374-8633 or request a custom golf quote - quick and convenient!